To assist you with your business research, the following resource information is available so that you can learn more about pertinent business topics that may be of interest to you. In particular, when buying or selling a business. Please select any of the links to more learn more about a particular subject. Why List with a Professional Broker? How Do I Evaluate an Existing Business for Sale? 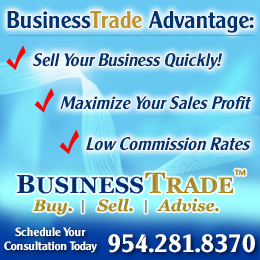 We thank you for choosing BusinessTrade!